While I typically steer away from fresh lemon scents with nostalgic (positive and negative) memories of household cleaning products and zesty salads in mind, the Lemon Verbena body collection from Parisian apothecary and skincare brand L’Occitane boosts a collection of fresh citrus products for men and women that work for both invigorating AM showers and relaxing evening showers/baths. It’s a distinctly different product for its category and certainly incomparable to any household cleaning product. Rather, it offers a soft and fresh scent that leaves the skin feeling hydrated and supple following use. The brands infamous holiday kits typically offer deep discounts at comparison to retail value and are a perfect time to stuck up on treats, products, and gifts that you would not otherwise, even if you opt to break them down into smaller stocking-stuffer type gifts. Or, if you’re a fan of the brand already and seeking to experiment there’s nothing wrong with a little experimentation and gifts to the self after a hard or long years work. The Citrus Verbena collection is enjoyed equally by men and women and has a light lemon scent that lingers without being overbearing or containing any chemical or harsh perfume odors. Additionally, the products are all formulated for any skin type, including sensitive skin, and contain no parabens or sulfates, or harsh chemical additives. So barring any particular allergy to an ingredient contained in the formulation of the product, it tends to be extremely gentle and sensitive on the skin for most users. 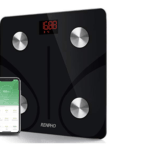 This review will cover an overview on the entire collection, a breakdown on the included products, some main pros and cons to bear in mind prior to purchase, and a final verdict, to help you make a more informed purchasing choice prior to any point of sale. This 5-piece Holiday collection features one Citrus Verbena travel sized perfume, a full sized Verbena Shower Gel, a travel sized Verbena body lotion, a full sized Verbena body soap, and a full sized Verbena hand cream (a cult-classic for the brand). All of the products work in tandem to deliver crisp, fresh notes of lime and lemon that blend together to form a perfect aroma that epitomizes cleanliness devoid of any household cleaning item odor (and this is coming from someone who gravitates away from lemon and citrus fragrance in general for that particular reason). The triple- milled soap included in the set not only offers incredibly longevity but is the first product of its category I have used that does not contain any drying agents (as a bar soap), and is rather hydrating to the skin. All of the products feel nourishing, hydrating, refreshing, and quite soothing to the skin, and work in tandem to deliver the best benefits to the skin that brighten, smooth, soften and hydrate. This product works well as an introductory item for those who enjoy citrus scents and are looking for luxury products at a discount, as a unisex gifting item, or as a product for those who are current fans of the line looking to indulge in savings compared to retail as well. The scent lingers and is very refreshing, without containing any harsh chemical odor or unnatural type scent. Out of all of the included products in the collection, the shower gel was probably my favorite. Even as someone who is not a huge fan of citrus or lemon scented products, this scent is light, crisp, and lovely, with a bit of a fruity after note, and never feels overpowering. It lingers on the skin without seeming too strong and is never “obnoxious” and is devoid of any harsh chemical odors or artificial fragrances. The naturally based ingredients in the formulation make the product gentle and soothing, suitable for all skin types, including sensitive skin. The gel provides a deep cleanse of the body but never dries out the skin or creates any redness, in fact, following use, the skin seems even more hydrated than it was prior to use. I would recommend following up with the lotion with semi-moist skin for best results and to truly maximize hydration benefits. Best of all, a full sized product is included in the set and minimal product is needed for topical application, meaning product shelf-life and longevity is excellent, adding value- this is a product you should expect to own and reap the benefits of for several months. While I don’t traditionally wear fragrances or perfumes in favor of more natural body lotion or shower product scents, this fragrance has a clean, crisp aroma that is lovely when paired with other notes or as a standalone product. It is fully devoid of any harsh chemical odors or scents and evokes feelings of fresh summer mornings and garden parties. It’s the farthest from a chemical cleaning product, and rather smells like fresh lemons paired perfectly with a subtle lime. It’s equally parts masculine and feminine and can be used by men and women alike, and stays on the skin or clothes for quite some time. It has a soft floral dye down that is subtle but pairs perfectly with the lemon aroma. As an EDT, customers should not expect the strength of a parfum, but it will be stronger than a simple spray or mist type product. When paired with the moisturizer, the scent lingers longer and the products compliment one another quite well. It is fresh, crisp, and ideal for those who typically get headaches or reactions when using heavier perfume items, fragrances, or parfums. Additionally, it’s incredibly versatile and its use is not limited to spring and summer months. As someone who never uses bar soap, I’d have to say this triple-milled hydrating formulation with shea butter and verbena is not only extremely gentle on the skin, it’s also extremely hydrating. If you’re a fan of bar soaps, you will likely be purchasing these products in multiples in no time after trying them out. Typically, bar soaps contain ingredients that can be extremely irritating and drying to the skin, even creating redness or topical irritation while failing to provide a thorough deep cleanse. This soap is not only extremely hydrating following use, it also thoroughly cleanses (yet provides) a gentle yet deep clean. This body lotion is ideal if you’re in search of a moisturizer that is equally parts hydrating and lightweight. It feels cooling and is never greasy or sticky on the skin, glides on gently and smoothly, and has the same fresh crisp scent as the other included products in the set. It pairs perfectly following a post shower experience using the shower gel included. While it definitely treats very dry skin and any patches you may be experiencing, it also is extremely breathable and conditions the skin gently. The product did not create any irritation, redness, reaction or reactivity even with very sensitive skin, or any breakouts. It feels cooling, soothing, and smells quite refreshing and crisp with a fruity settle down. If you’re dry but seeking a lightweight formulation and a fan of citrus scents, I would recommend this body lotion free of reservations. L’Occitane Verbena Cooling Hand Cream Gel (net wt. 1 oz.). While hand cream products seem to be a competitive category and are not one I typically shop within (as a product category at large), this product was certainly decent and I would recommend it to hand cream fans. It’s lightweight and does not feel greasy, heavy, or sticky. It does feel slightly cooling, and is definitely hydrating if you’re dry. The scent is also quite nice, and has the same light citrus odor that’s fresh and pure similar to the other items. While I would not purchase this item individually, it certainly has a loyal cult-following and I would recommend it to fans of scented hand creams, particularly citrus fans. It certainly makes a nice addition to the set and a full sized item is included. Especially considering the item may be a gift open to interpretation based on scent or preference, the return policy in this case may be a highly important factor for you. 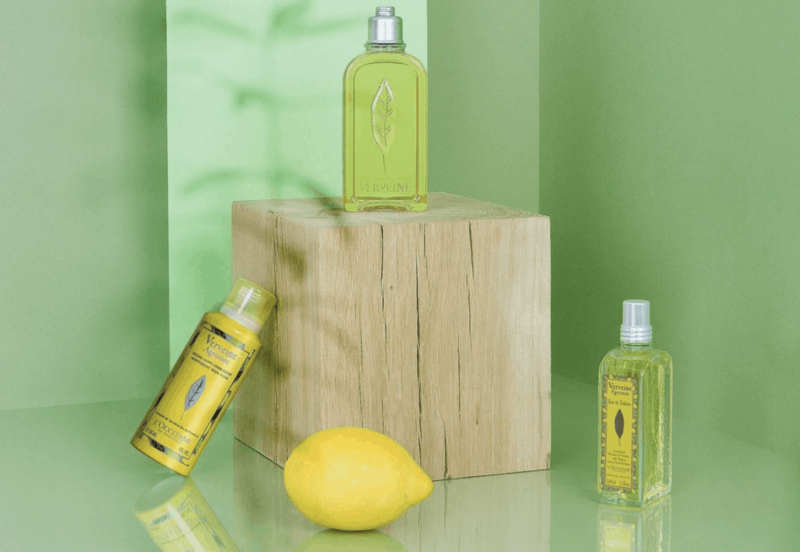 The manufacturer, L’Occitane, has a strong return and exchange policy that honors full refunds upon dissatisfaction or allergy, and this policy favors the consumer, both new and returning. If you are dissatisfied with the use of the products, or if it does not work for your skin to provide suitable hydrating or skincare benefits, or you experience any product allergy or reaction to any of the formulations, you may elect to return it at any time. In this case, you will receive a full refund equal to the entire purchase price of the item. If you’re seeking a body care gift this year for yourself or someone special in your life who enjoys fresh citrus scents, this is an ideal gift. As a fully unisex product, it can also make an excellent gifting option for couples, or an introductory item for those new to the brand seeking variety and a great value in comparison to retail. Certain companies roll out deep discount products over the holidays during the season and right after, and L’Occitane is no exception to the rule. So if you are a fan of bath and body products (or skincare items), and searching for sets at a discount, this is an excellent way to go. If you’re a man or woman who enjoys a fresh and light clean scent but does not prefer fragrances that can be too “overwhelming,” I would highly recommend the L’Occitane Citrus Verbena offering. And the gift set is the perfect way, both in product variety and value, to test it out for the first time.